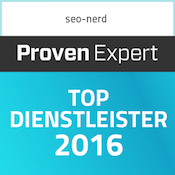 Due expected above-average customer reviews we have received from ProvenExpert: TOP-Service 2016th. ABSOLUTE OR RELATIVE URLS? WHAT’S BETTER? WHAT IS THE IDEAL ANCHOR TEXT? DO YOU HAVE TO DELETE YOUR FACEBOOK PAGES SOON? 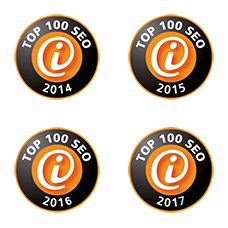 The seo-nerd® Has been one of the 100 most important German SEO Agencies for years! The seo-nerd® is a best-valued service provider on ProvenExpert.com. Our customers are convinced. This is proven by our 5 star ratings on ProvenExpert. Turn your visitors into customers! Conversion Rate Optimization is an integral part of online marketing, as it is the cornerstone of any business model on the internet. After all, it is not just about bringing visitors to your website, but about making them an enthusiastic customer. Imagine, you’re going to a bookstore. You are looking for a specific book or just want to be inspired by what kind of book you should do next. The store is packed with other customers, the shelves are unsorted, so you can hardly find your way around. An employee who could help you is not in sight and the checkout is only slow. You will probably leave the shop after a few minutes. The same happens online. Just because a site has many visitors, it does not automatically mean that the products offered there sell well. But how do you turn visitors into customers? What does Conversion Rate mean? Not every visitor of a website accomplishes the action that the website operator is wishing for. This interaction (conversion) does not necessarily have to be the purchase of a product, but it can also be, for example, a newsletter registration, a contact, a registration or a download. The conversion rate is the percentage of the visitor who made the desired interaction, ie “converted” from a visitor to a customer. The conversion rate can be used to determine the effectiveness of a website. However, this is not a valid value. Whether the conversion rate of a page is good or bad depends, for example, on the prices of the product or service, the industry or the brand’s awareness. Just as an inviting shop window, a clear product presentation, and a friendly service to help the bookstore from the above example help more visitors actually buy something, there are also online factors that positively influence the conversion rate. Which factors affect the Conversion Rate? The background of the Conversion Rate is: you want something from your visitors. Directing users to your site is not enough to motivate them to a specific action. It is also important that the aim of your website matches the users intention as good a possible. In doing so, you not only have to convince them of yourself, but also make the completion of the desired action as simple as possible. As always at the beginning of each optimization is the analysis. In the Conversion Rate Optimization this is used to check which areas of the website are involved in the sale or the desired action, and where the visitors stop the process. Added to this is the definition of the company’s own goals of optimization and a precise definition of the motivation and expectations of the users. Based on these findings, concrete measures of Conversion Rate Optimization are now being developed. These can be, for example, an improvement of page speed, an overhaul of the design and the optimization of content such as texts, pictures or forms. 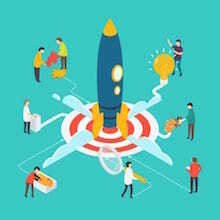 The Conversion Rate Optimization measures should then be extensively tested, for example by test customers or employees who were not involved in the current process. The purpose of the test is to find out whether the measures achieve the desired effect or to test several variants of the optimization against each other. Rollout means the final release of the optimization variant with the best test results. The implemented measures are trialled to monitoring in order to find indications for further optimization. 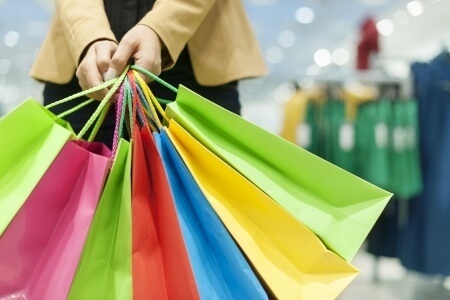 Conversion Rate Optimization is about converting visitors into customers. Logically the users and their user experience of your page are the privot of the Conversion Rate Optimization. In order to minimize the obstacles from the first page view till the final order there are some factors to optimize. The first impression counts. Always. The design of your website has to be as appealing as possible to users. Certainly, beauty is in the eye of the beholder, but there are still some universal rules: clashing colors, blinking banners and buttons or a hotchpotch of different fonts rout every visitor faster than you can say „Conversion Rate“. Besides an appealing design (at best with recognition value) also a clear, elaborated navigation improves the user experience of your website. Your page has to be meaningful compartmentalized in main- and sub-pages. It also has to be as simple as possible for users to navigate back to previous pages. They should always be able to recognize where they are on you website and how they got there. At the latest since several star chefs jolly up nearly broke restaurants across the republic, we know: the broader the offer, the more confusing it is for the customers. This should also be essential for online shops. Which does not mean to offer only a few products. A meaningful division into product categories helps to ensure that the visitors of your website do not feel overwhelmed by the offer. Likewise, several product variations should be combined on one page. Instead of displaying a coffee machine in red, green, blue, yellow […], it is more appropriate to create a drop-down menu for the color selection on the product page. This avoids duplicate content (unless you write a new text for each variant) and makes the portfolio clear. Ask yourself: why should a website visitor buy / call / subscribe a newsletter on you page and not at your competitor’s. The user wants to know the benefits of an interaction. You have to communicate them clearly. This can be a best price guarantee, a fast delivery, an additional service, etc. At best the users are able to conceive the most important components of your offer at a glance. Delivery times, possible shipping costs, discounts and the advantages of the purchase are the factors that convince a user to buy from you and not elsewhere. Professional pictures and videos as well as appealing texts, which also address the users emotionally, belong to it as well. Specific – The user must immediately know what it needs to achieve his or her goal. Simple – The easier the call-to-action is, the higher the click-probability is. Activating – Work best with clear, appealing verbs such as “Discover” or “Download Now”. Eye-catching – With an optical highlight you reach higher conversions. The more a user has to do to complete an interaction, the more likely he is to abort. Users want to spend as little time as possible: with few clicks to the goal. Minimize the steps to finish to the basics. It is ideal, for example, if a user does not have to register first to conclude a purchase, but can order it as a guest. In addition, you should only request in the form the information, which is really necessary for the deal. Why should a user send you his address if he just wants to subscribe to a newsletter? This not only reduces the effort, but also makes things more trustworthy than opaque data collection. Also make use of the usual payment variants and standards for data protection, and illustrate these e.g. by embedding logos or seals. Also online the personal contact is becoming more important. But since you can’t face your customers directly the basis for this has to be provided in a different way. Provide your users with quick findable contact opportunities, supplement your offers at a suitable place with FAQs and implement customer feedback and reviews. In the case of forms, it is also important that the user is given an overview of the next steps and can obtain explanations of the individual data. Any question that the user might ask should be solved during the process, otherwise the probability is that he will abort. 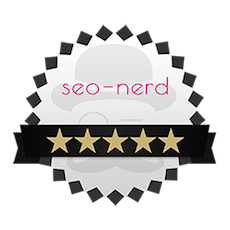 SEO and Conversion Rate Optimization: a perfect couple! With SEO, you can get a good placement on Google, so your target group will find your site online better. But that’s not the whole job. After all, it is your goal to win the visitors of your website as customers. More traffic on your site does not automatically mean more conversions. SEO and Conversion Rate Optimization must therefore always go hand in hand. What’s the good of pushing your online shop on the first place, if the users just get inspiration and information and then shop somewhere else? As well as SEO, Conversion Rate Optimization is not a one-time project, but a permanent process. 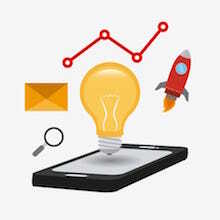 Many SEO measures, such as the optimization of the page speed or the mobile user friendliness, are at the same time also important factors for a Conversion Rate Optimization. The two goals of generating more traffic and achieving more conversions do not run against each other. The goal is rather: generate traffic and use it correctly. Since Google and other search engines are more and more trying to understand the users’ queries better and thus to provide better search results, to the seo-nerd has long been clear: Do not ask what Google wants. Ask what your users want! 1. What does Conversion Rate mean? 2. Which factors affect the Conversion Rate? ...is an international high quality brand for online success.